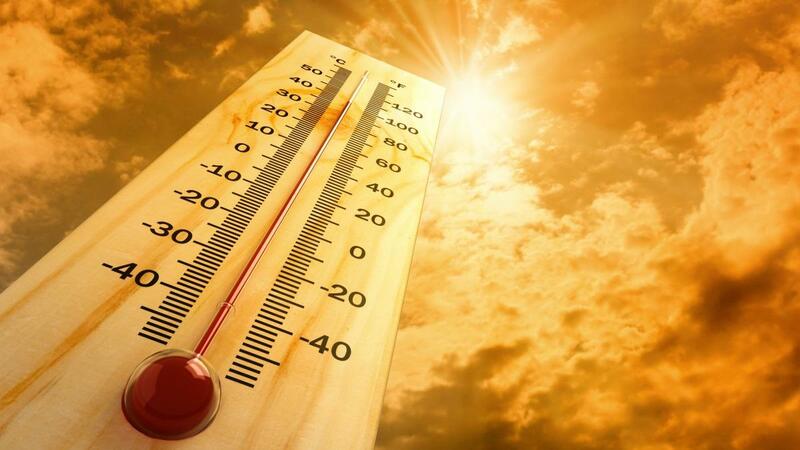 Gujarat today saw first rise of mercury over 46 °C this summer even as parts of the state continued to reel under heat-wave and at least 4 places seeing temperatures at or above 45 °C . Amid the sizzling heat, parts of Gir-Somnath district also saw some light rain. Kandla Airport today recorded highest ever temperature of this summer at 46.3 °C. Deesa in North Gujarat, the second hottest place today sizzled at 45.8 °C . Surendranagar recorded the third highest at 45.3 °C. In Gandhinagar the maximum temperature was 45 °C. In all at-least 7 places saw temperatures in excess of 44 °C. Ahmedabad recorded the maximum of 44.8 °C which was 3.1 °C above normal. The minimum at 29.1 °C was also 1.4 °C above normal. PORBANDAR 35.4 27.4 AHMEDABAD 44.8 29.1 RAJKOT 42.3 27.3 DEESA 45.8 28.5 VERAVAL 33.0 27.6 GANDHINAGAR 45.0 30.5 SURENDRANAGAR 45.3 28.6 V.V. NAGAR 44.1 29.6 MAHUVA 41.0 21.8 VADODARA 43.4 29.4 BHUJ 41.4 25.6 SURAT 39.0 29.6 VALSAD 35.4 23.1 NALIYA 35.3 27.8 KANDLA PORT 42.1 27.7 AMRELI 44.6 27.7 KANDLA AIRPORT 46.3 27.2 BHAVNAGAR 40.9 29.5 DWARKA 32.3 28.6.